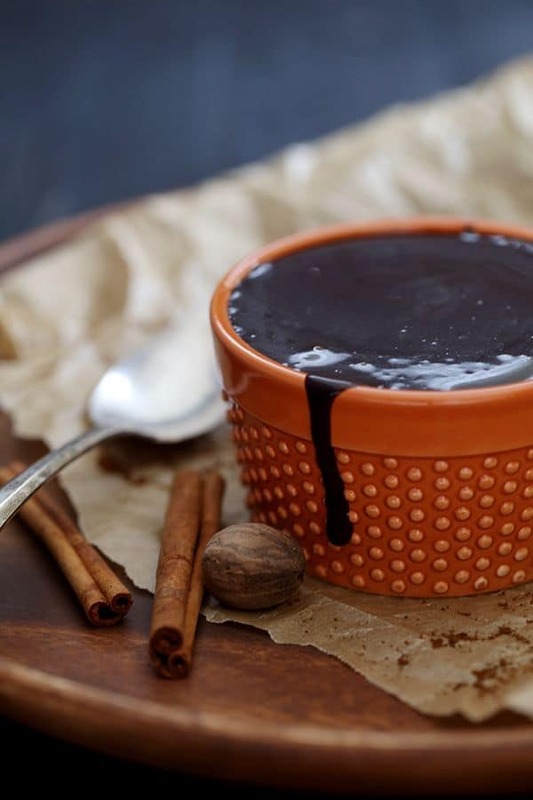 This seven ingredient Pumpkin Spice Hot Fudge Sauce is spiked with all the flavors of autumn. 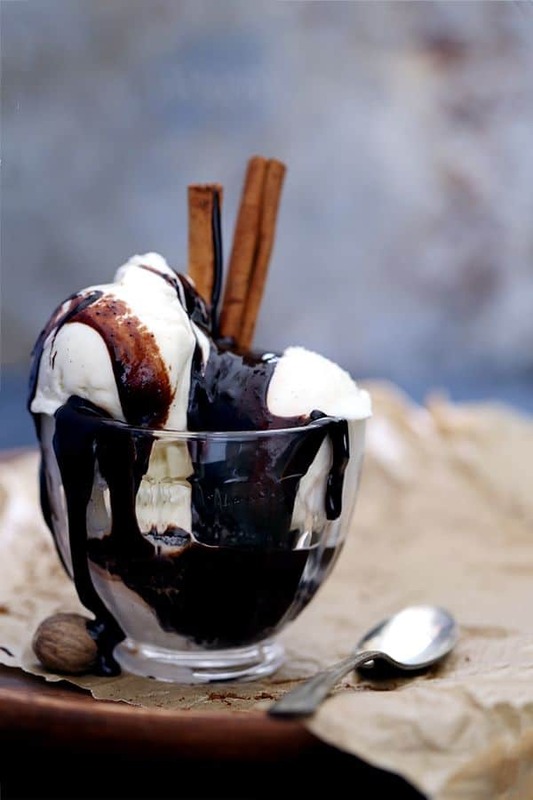 Cinnamon, nutmeg, clove and ginger are swirled into a velvety smooth dark chocolate sauce to create a deliciously decadent dessert topping. I’ll admit it. I might be the only person on the face of the planet that has never had a pumpkin spice latte. Being a non-coffee drinker, it’s just not my jam. 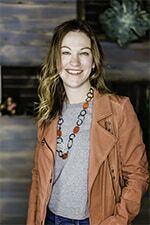 In fact, when the barista offered me one on the first day that they were available, I thought her eyes might bug out of her head when I politely declined. 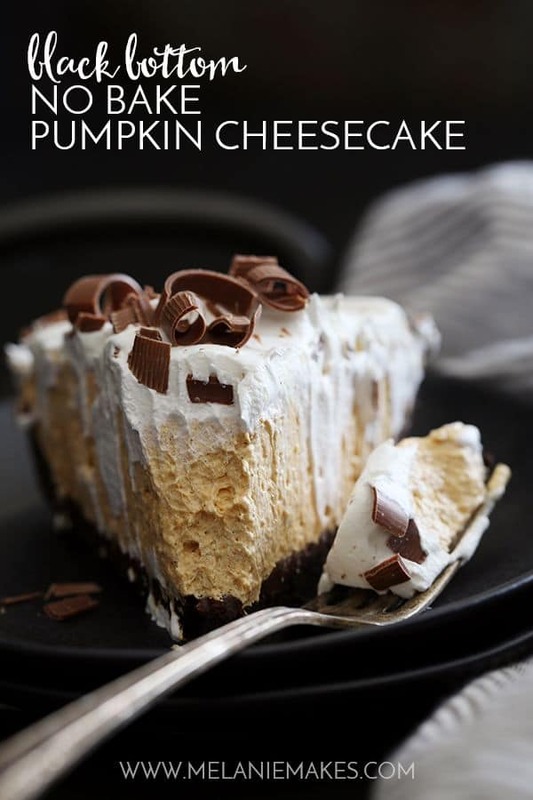 Instead, I pumpkin spice all the things BUT my drinks and tend to go the dessert route. This year, I’ve stocked my fridge with this Pumpkin Spice Hot Fudge Sauce for all my late night sweet cravings. We’ve talked hot fudge sauce before. Remember my Mocha Hot Fudge Sauce? 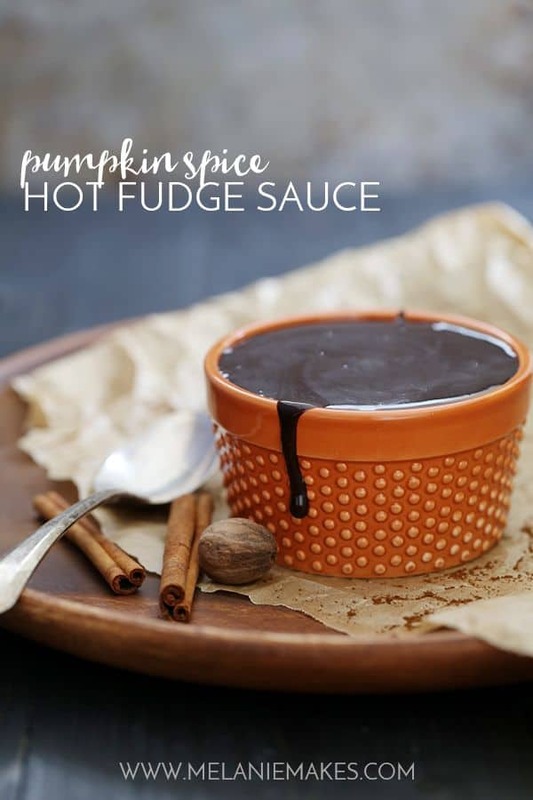 But this Pumpkin Spice Hot Fudge Sauce? 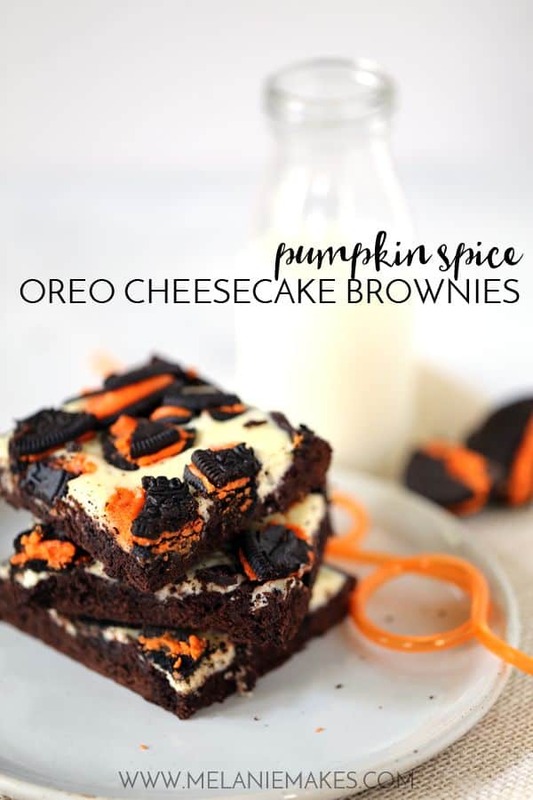 It truly captures all the flavors of autumn and they’re all swirled in a decadently delicious dark chocolate sauce. That in and of itself should have you stepping away from your computer or phone and heading to the kitchen to prepare some right this very minute. 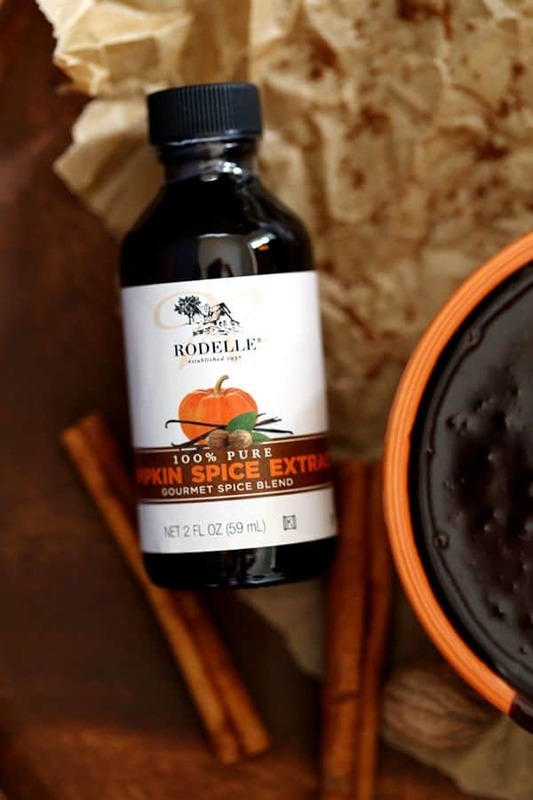 The secret to all of that autumn flavor and for keeping my sauce luxuriously smooth is Rodelle’s Pumpkin Spice Extract. Forget whisking in cinnamon, nutmeg, clove and ginger and insuring that are no clumps. No sir (or ma’am)! I’ve let someone else do the hard work and instead took a flavor shortcut with this extract. 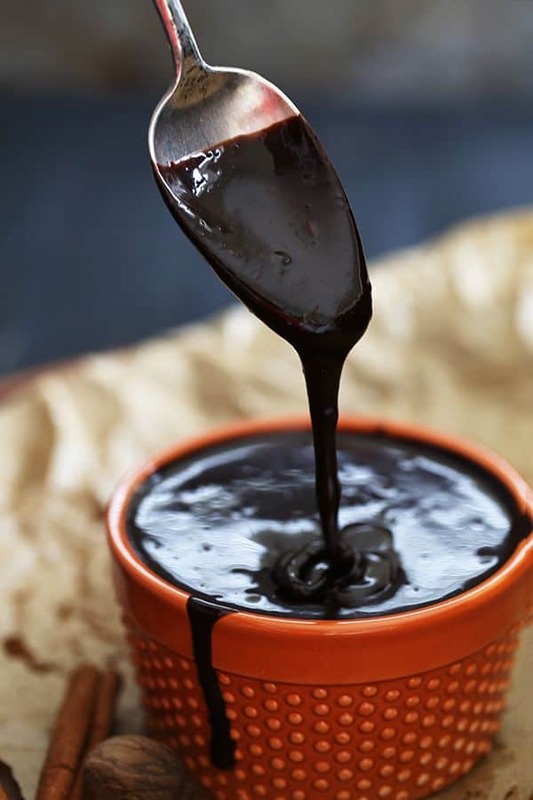 As it’s in liquid form, it’s the perfect flavor agent for this chocolate sauce. In the top of of a double boiler, over simmering water, add chocolate and butter. Stir frequently until melted and combined. Add cocoa to butter and chocolate mixture and whisk until combined. Whisk in milk and whipping cream until completely combined. Continue cooking and whisking occasionally until sugar is completely dissolved and sauce is smooth. Whisk in Pumpkin Spice Extract. Store extra sauce in covered container for up to one month. I mean, sure, you could top your next sundae with this Pumpkin Spice Hot Fudge Sauce but I can also highly recommend it straight from the jar after your four children have been battling the plague for the last 8 days and all you really need is a tropical vacation far, far away. 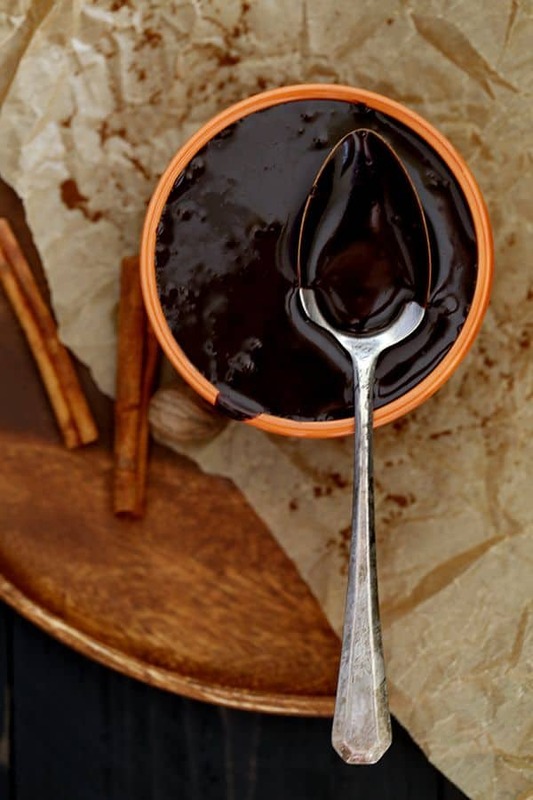 Yep, this luxurious and spiced chocolate sauce will do in a pinch to solve all of your worldly problems. Ready to make this Pumpkin Spice Hot Fudge Sauce, stat?! I thought so! My friends at Rodelle are letting me share my love of their Pumpkin Spice Extract as well as their Pure Madagascar Bourbon Vanilla and Vanilla Paste that I featured in my Vanilla French Toast earlier this week by giving away all three to one lucky Melanie Makes reader. Your pantry is about to get a flavorful upgrade! 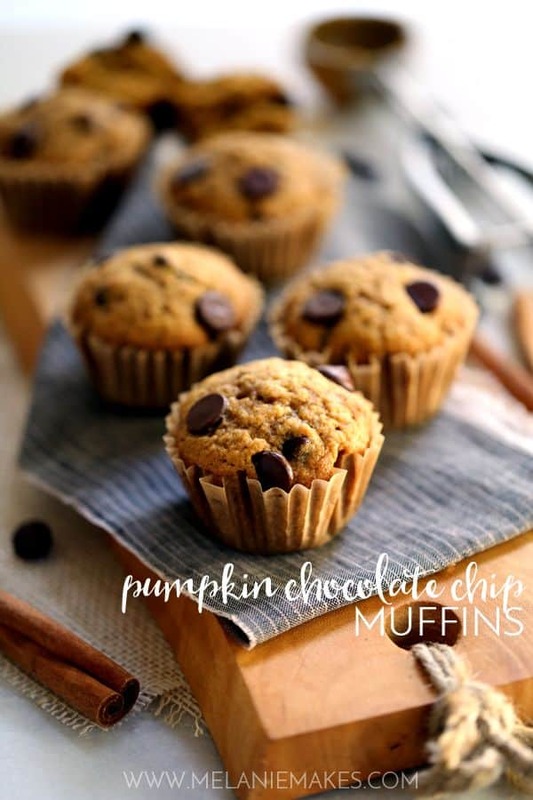 Looking for more great chocolate and pumpkin recipes? For years I've had a love of all things REAL vanilla and even ordered Madagascar bourbon vanilla beans. Thing is I haven't been able to find suggestions of how much bean is needed to sub for liquid vanilla or if bean should be subbed. I have the most incredible recipe for pound cake and have used bean and liquid but want to use more just not sure how much or which one or both. My late Granny told me when she was young women put a drop of vanilla behind each ear because no one could afford perfume. Many years later I use vanilla scented shower gel and body lotion. Hi, Judy - I've always gone with the equation that 1 teaspoon of vanilla extract is equal to one 2-inch piece of vanilla bean, so 1 typical vanilla bean will equal 3 teaspoons extract. Hoping that helps!